If you are looking for information on the Parker Finch franchise business opportunity, Parker Finch franchises or Parker Finch franchising, then you have come to the right place. Parker Finch was founded on the principal that providing our customers with consistent quality, service and education will lead to better community experiences, Parker Finch offers a proven business model, comprehensive training program, successful marketing strategy, complete process & operations manuals, as well as complete accounting services and websites for your customers to access. The community association industry is growing rapidly. As new home sales have climbed by as much as 42% in the past five year, an astounding number of new communities are being formed every day. In today's increasingly nameless and depersonalized world, a growing number of people prefer to live in communities - not just neighborhoods. Our services boost property values, reduce homeowner stress, increase safety and foster community friendships. Join Parker Finch and leverage this exciting growth industry as you grow your business. We are not the typical "fast food" franchise. Instead, Parker-Finch Management offers an exceptionally simple business plan that requires no costly inventory and few full-time employees in a rapidly-growing, nearly recession-proof industry. With 14 years' experience managing HOAs and overseeing over $2 billion in managed properties, we have perfected our systems and procedures while developing the full spectrum of services required to meet our clients' needs. Now we want to share our company's success. Homeowners are concerned about the value of their properties. A successful community management company is able to help the community raise its property value. 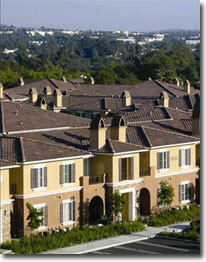 Parker Finch Management enhances the desirability of a neighborhood for both present and future owners. Our franchisees offer community management and accounting services to homeowners associations and condominium complexes for both developers and existing associations. Do you want to go into business for yourself, but not by yourself, and enjoy the benefits of watching your company grow and flourish? Successful professionals looking for a proven way to take themselves to the next level are optimal candidates to be awarded a Parker Finch Management Franchise. From building relationships with clients to assisting homeowners in increasing their property values, working with vendors, hiring and working with a team of professionals, Parker Finch Management Franchise owners are passionate professionals with a knack for working with people. To qualify, you must understand sales, marketing, budget responsibility, personnel management, as well as customer service. We'll teach you the rest with comprehensive training, thorough support and a turnkey, proven business system. At Parker Finch Management Headquarters, we are dedicated to making our franchisees successful. You will go through an initial training program which will provide you with the skills and knowledge necessary to start your franchise and to be successful in the community management industry. From that point on, you will always have the Parker Finch Franchise Support Team available to address any questions or concerns. Our Franchise Support Team will also visit your franchise as needed, to consult you on your operations so that your business runs smoothly and effectively. In addition, we will handle the association back office functions of your operation, leaving you with significantly less work to run your company, and allowing you and your team members to allocate more of your time to marketing and operating your franchise.